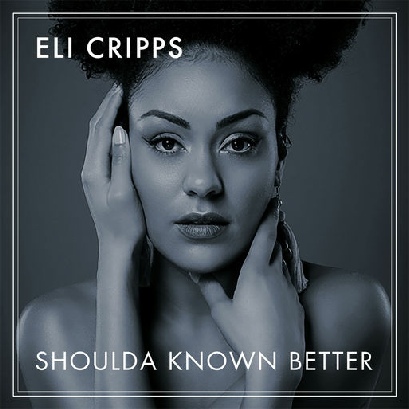 Born in Bath, Eli Cripps had a somewhat nomadic upbringing, living in Tanzania, Nigeria, Zimbabwe and Kenya. Aged 16, she moved to Wales, where she experienced a predictable culture shock, but soon adapted to British life, going on to study in Manchester, where she continues to live. Cripps credits her father’s eclectic record collection as the source of her musical education and began writing song lyrics aged eight. Although it was clear to her singing was fast coming her biggest passion, she chose to pursue a business degree to honour her parent’s wishes and concern for a future with a stable income. Undeterred by forfeiting formal training, she quickly formed a university music society, undertaking a variety of roles, which included giving singing lessons and performing in bands. Following the release of her debut EP, Eli took a break from recording Mars to appear on the 2016 edition of singing contest The Voice UK. The experience allowed the artist to cement her conviction in the kind singer she wanted to be, with a renewed determination to always be herself. It is this clarity of vision and desire for creative control that has spurred Cripps to release her album independently. 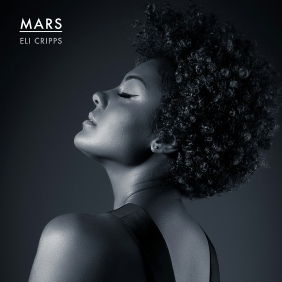 ‘First love, last love and all the loves in between,’ is how singer-songwriter Eli Cripps describes her relationship with music and understanding love in all its guises is the polemic of her debut album Mars. Written over the course of two years, the record follows the release of her 2014 ‘Red Carpet’ EP, endorsed by BBC Manchester Introducing. A work of diligent introspection, Mars poses questions about identity and empathy and a density of concurrent emotions is the album’s narrative drive. From familial discord to romantic disappointment, it takes pride in trying to define and embody the human condition and is clearly the work of someone who has lived, learned and lived anew. Underpinned by cinematic soundscapes and orchestral touches, its use of African rhythms honours the artist’s upbringing, creating a work of ambitious and layered sonic character. Lead single ‘These Things I’ve Seen’ is emblematic of Eli’s ability to weave personal experience into universally understood sentiments, imbuing the track with a wide-ranging appeal. It manages to be both an empowerment anthem and a personal testimony of the moral complexities relations between people create. It’s bold, brave and balks at the idea women shouldn’t express their anger. But while the album uses similarly broad strokes throughout, Eli’s understated projection of her voice creates a uniquely uncritical tone. This is a labour of measured consideration and forgiveness as much as an admittance of moments of weakness and regret. Featuring three tracks co-written by Wayne Gidden, the album was produced by Frederik ‘t Kindt of The Slow Show and recorded in Manchester, where Eli has been honing her skills as a live performer. Drawing inspiration from the prose of Leonard Cohen, the grace of Sade and the soulful delivery of John Legend, the singer’s voice combines the maturity of Lana Del Rey with the optimism of Corinne Bailey Rae, creating a sound that is as much modern as it is classic. For Eli, image is secondary to message and the album’s accompanying artwork and videos have been created to complement an artist for who music will always come first.